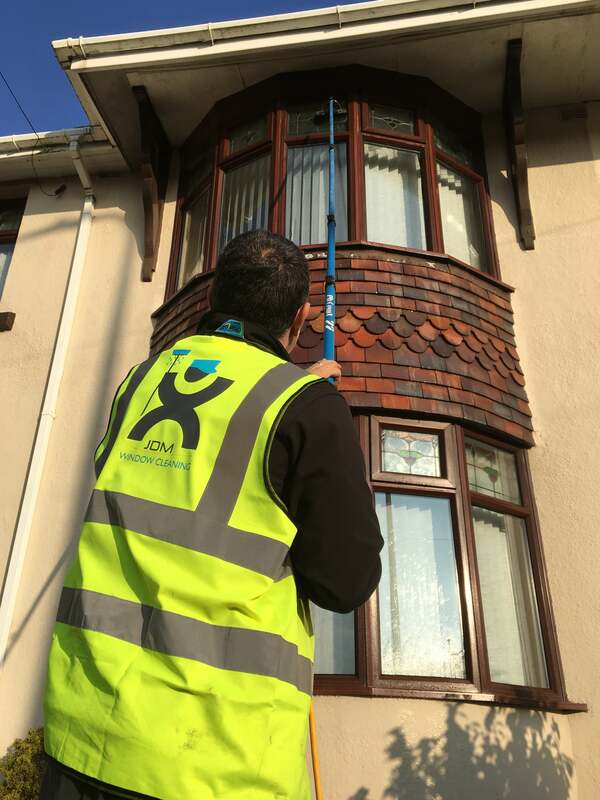 JDM Window Cleaning offers reliable, professional and cost-effective window cleaning services to both domestic and commercial properties covering Llanelli, Swansea, Carmarthen and surrounding areas. We are an organised and customer driven window cleaning service providing only the best for our customers. You can expect us to be on time and professional. JDM Window Cleaning provides both an exterior and interior window cleaning service to the Llanelli area. We clean all windows inside and out including doors and frames. We use two methods of cleaning depending on the job and your requirements. We can clean windows using the traditional method which involves using soap on your windows and squeegeeing off with a rubber blade. 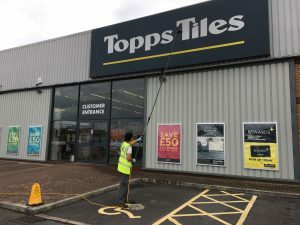 We can also clean windows using the water fed pole method which involves using purified water to clean your windows with our poles and brushes. Purified water goes through our professional filtration system to remove impurities and minerals. 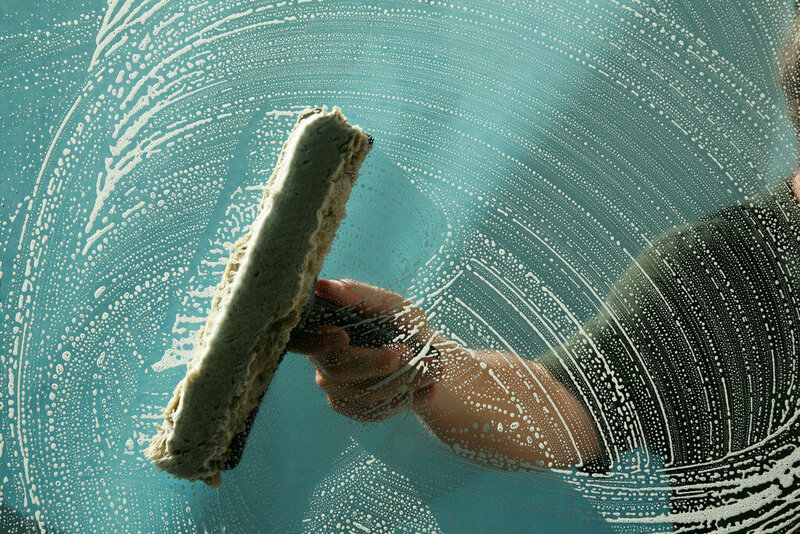 If you were to spray normal tap water on your windows it would leave dirty spots due to those impurities. With pure water, you are left with perfectly clean windows. No chemicals or soaps used. If you would like to learn more about the purified water we use please click this link. 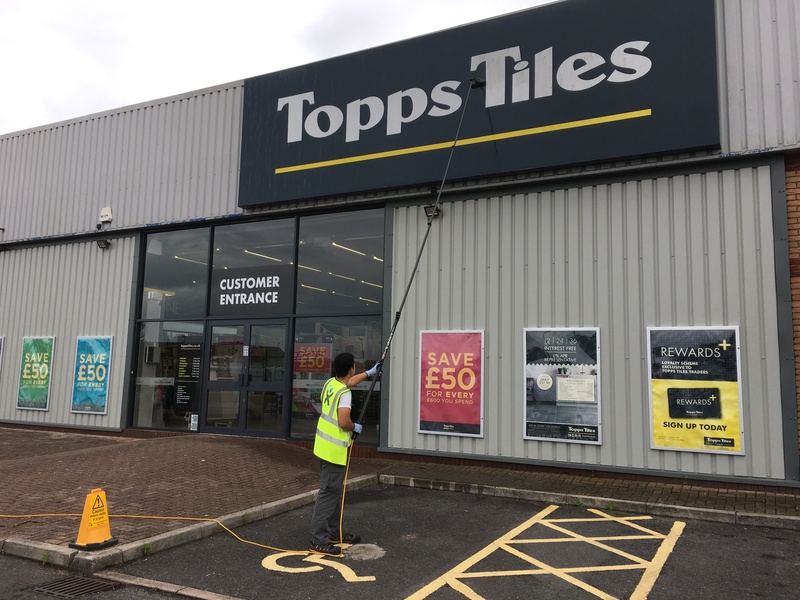 In addition to our domestic rounds, we also provide a window cleaning service to commercial clients. We are fully insured and can provide both method and risk statements on request. 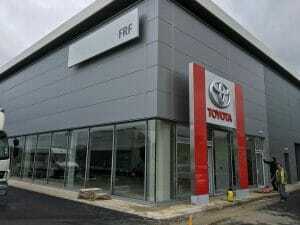 Furthermore, we understand the importance of your business’s reputation and appearance hence why we always wear a uniform, are reliable and professional. 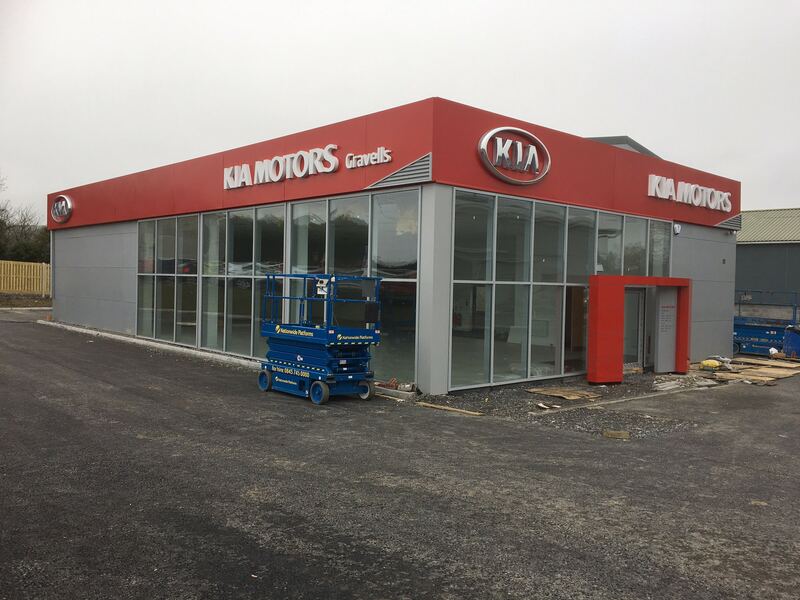 We can clean a variety of commercial property whether you are looking for cladding and signage cleaning, office block window cleaning or full commercial building cleaning JDM Window Cleaning can cater to your needs. We are more than happy to discuss your needs, so please get in touch. 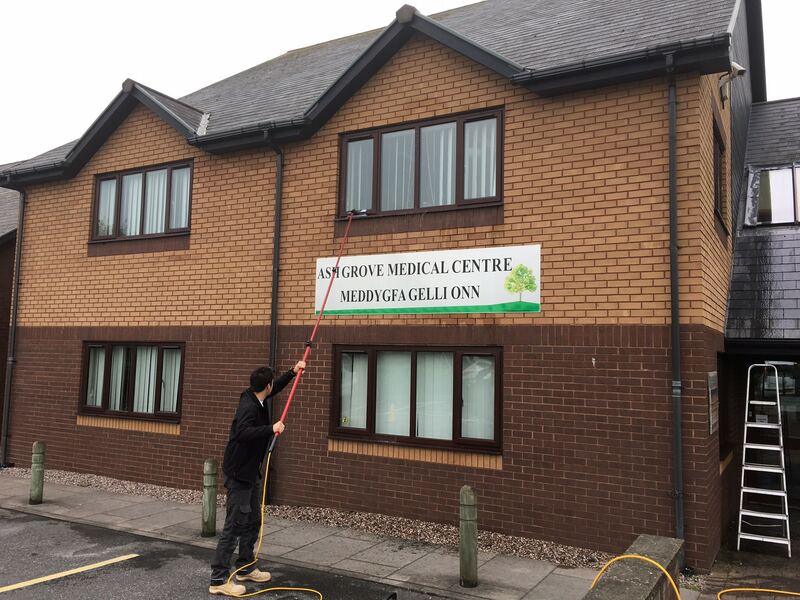 Our other exterior cleaning services in Llanelli include pressure washing, gutter cleaning, fascias, soffits and cladding cleaning.